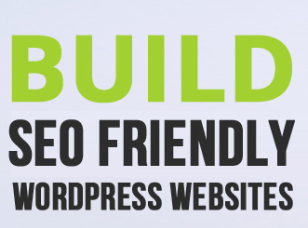 Only having a website on Wordpress is not going to add any value for better returns. Your Website must be optimized and beautiful to enhance its attractiveness. Why you must take care more to it let’s have a look. So, guess how many blog posts people do publish every day. Well, it is estimated that Word Press users alone publish more than 2 million posts every day. That comes out to be 25 blog posts every second. So where is our website get the chance in the queue of many? So to stand out of the crowd of millions of the website your website must be best. Not a surprise that millions of users search the term “SEO” on Google daily. But what does SEO even mean? In Simple language, you can assume SEO as Optimizing your site & following Search Engine's Requirements to rank your site organically higher in the Search Engine Results. Search Engine like Google checks 100's of Factors to rank your site from Content to Authority of the Site. From Backlinks to Spam history of your site everything will be checked before your site is indexed higher in their pages. Your site is not getting proper ranking in search terms of the engines. You are not able to find potential customers. In many cases, a not well-designed site could be the cause of the drop in the ranking of your WordPress site. Quality of the Content and Reputation. Content should be unique and good. Viewing the website well on a phone and tablet is becoming the need of time. 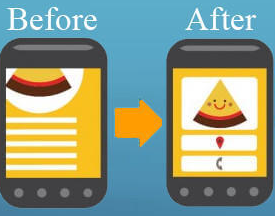 Nowadays, most people use the word press websites on mobile and which are going to increase day by day. There are many WordPress plugins present; which are free of cost that can be used to make your website mobile friendly. Always install plugins that are frequently updated and have good authority (To check authority please check the total installs and Ratings). I'm sharing only the top SEO Plugins which are at a peak in terms of Downloads and Features. These two plugins have similar features but The Yoast plugin has a little edge over the All in One SEO pack in dealing and avoiding duplicate content issue by Setting canonical URLs. Setup a website lockdown feature so you get notified of this unauthorized activity. Well with Use of 2-factor authentication on the login page is also a good security measure. Applying an SSL (Secure Socket Layer) certificate is one of the best moves to secure the admin panel. Adjust your password strength by adding uppercase and lowercase letters, numbers, and special characters. By implementing all the above steps you can be on the long term race to be among the best of the website to bring better output. So that way, next time your word press website being visited it will be responsive, optimized and friendly, but content will be accessible in the blink of an eye! 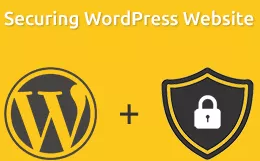 Always Update Plugins, Themes and follow the latest practices in web developing to keep your site Secure, beautiful, SEO And Mobile Friendly. Hope you like this article, Don't forget to share which plugins your are using to optimize your site in the comments section below.